This examination is being given to fill two vacancies with Behavioral Health Services Community Adult Treatment Services (CATS) and to establish an eligible list to fill future vacancies. Resumes will not be accepted in lieu of an application. A completed application must be postmarked or received online by the final filing deadline. CATS is an adult outpatient program that provides psychiatric evaluation, medication, support services, psycho-education, short-term group therapy, case management monitoring and follow-up for clients who are discharged from the inpatient program and who are at risk of re-hospitalization. Responsibilities include performing psychiatric assessments and medication monitoring and prescribing. Direction is provided by the Medical Director or Associate Medical Director. Possession of a psychiatric nursing specialty certificate and psychiatric/mental health nursing experience is highly desirable. Identifies basic complex medical conditions; determines if patient’s medical, surgical, and psychiatric problems require immediate consultation with the physician; treats conditions and manages stable phases of chronic illnesses on consultation with or following specific protocols established by physicians, including dispensing and/or administering medication when indicated; alerts appropriate medical personnel and/or agencies of potential community health problems as encountered. May work in hospital, outpatient, custodial, public health, satellite and mobile staff; may coordinate clinic activities; may orient and oversee nursing students, medical students and other providers. Licenses & Certificates: 1) Current registration as a nurse and certification as a Nurse Practitioner in the State of California; 2) Current possession of a furnishing license through the State of California, Board of Registered Nursing; or ability to obtain the State of California, Board of Registered Nursing furnishing license within one (1) year of employment.  Special Qualification: 1) In order to practice at San Joaquin General Hospital, must be credentialed and granted privileges through the San Joaquin General Hospital Committee on Interdisciplinary Practice (CIDP) within ninety (90) days of appointment and in accordance with medical staff bylaws and state regulations. New employees may be granted temporary privileges by the Medical Director or designee, pending Committee Interdisciplinary Practice approval; 2) Eligibles may be certified only to job vacancies in the area of specialization in which they possess specialized education and certification. Mobility-Frequent standing for long periods; constant walking; occasional pushing/pulling; occasional bending/squatting; Lifting-Occasional lifting of 5lbs. Or less, restraining, lifting/turning people; Visual Requirements-Frequent color perception; occasional eye/hand coordination, peripheral vision and depth perception; frequent reading; Dexterity-Occasional holding and repetitive motion; frequent reaching, grasping and writing; Hearing/Talking-Constant hearing normal speech, talking in person, talking on the telephone; frequent hearing on the telephone and hearing faint sounds; Emotional/Psychological-Occasional emergency situations, exposure to hazardous materials, working weekends/nights; overtime; frequent exposure to trauma, grief an death; constant public contact, decision making, concentration; Environmental Conditions-Frequent exposure to noise; occasional exposure to hazardous materials.